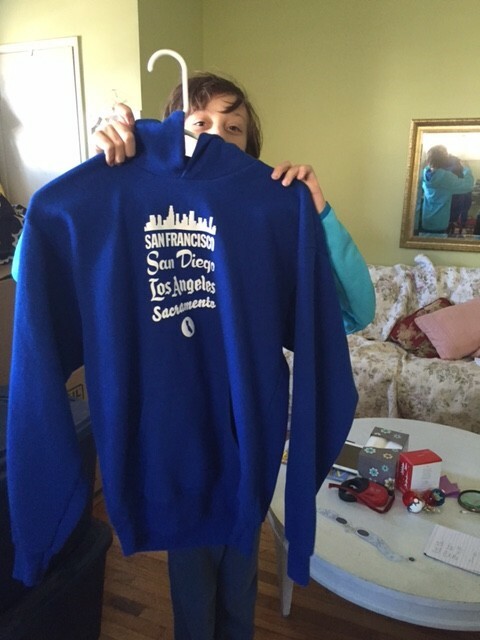 You are here: Home / Featured Products of the Week / Holiday Gift Suggestions! Christmas is approaching and will soon be here! Here are some more of our top Holiday gift suggestions! This first one is great for couples! 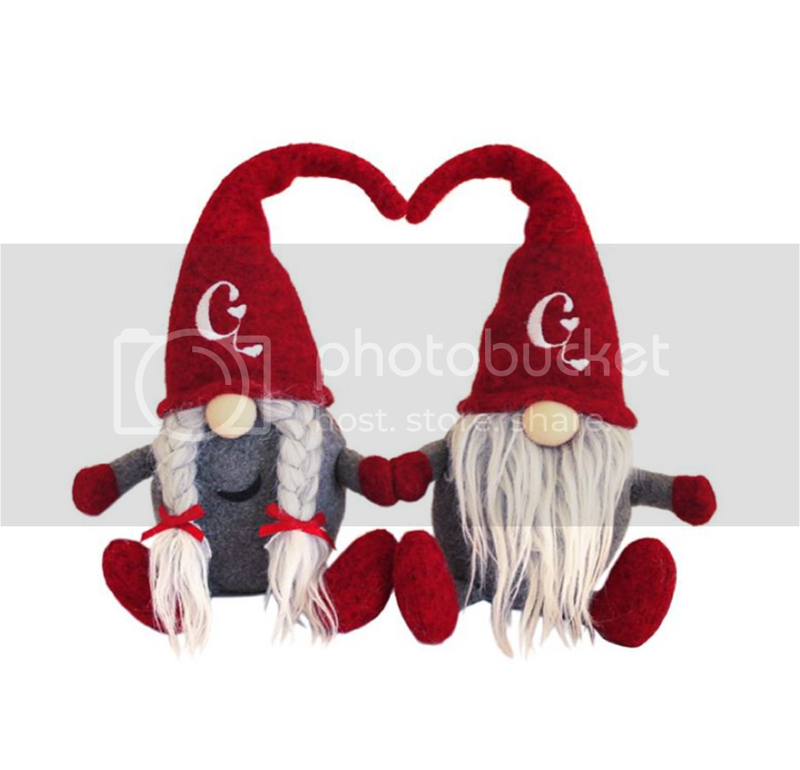 Gnoments: bringing the magic back into relationships! Gnoments– a unique relationship-building tool to help you share and create special moments with the one you love. The Gnoments kit includes a boy and girl gnome, each with a special pouch for including notes, mementos, and gifts, along with an embedded NFC chip for high tech messages, and a 32 page hard-covered, illustrated story book with ideas to get you started so you can begin making special moments today. I received a sample and love what a creative and unique idea this is!! For a more high-tech option, use the embedded NFC tag (Near field communications) to program a variety of messages and adventures. Currently available for most Android users, and surely soon to be enabled for iPhones everywhere, smart phones can easily program the NFC tag inside each gnome to offer another exciting way of being romantic, thoughtful, and fun. Record a YouTube video, sound clip, write a text, or set up a scavenger hunt, and all your husband, wife, girlfriend, boyfriend, or anyone else for that matter simply has to do is scan the gnome, and they will see the message on their phone! If you are away from your gnome, but still want to send a special message, Gnoments’ mobile-friendly website includes a special messaging system called Gnomifications, where one can create a Gnomitar (a gnome avatar) and send an email or text with the same links one can share through the embedded NFC tags. Looking for a great gift idea or a stocking stuffer for Teens and Mom and Dad? This next one is a must-buy! 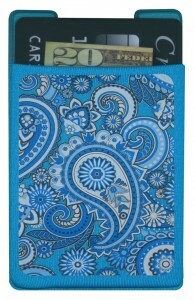 The wallet that will change your life! This one is very cool! I like that there is a different variety of patterns available. 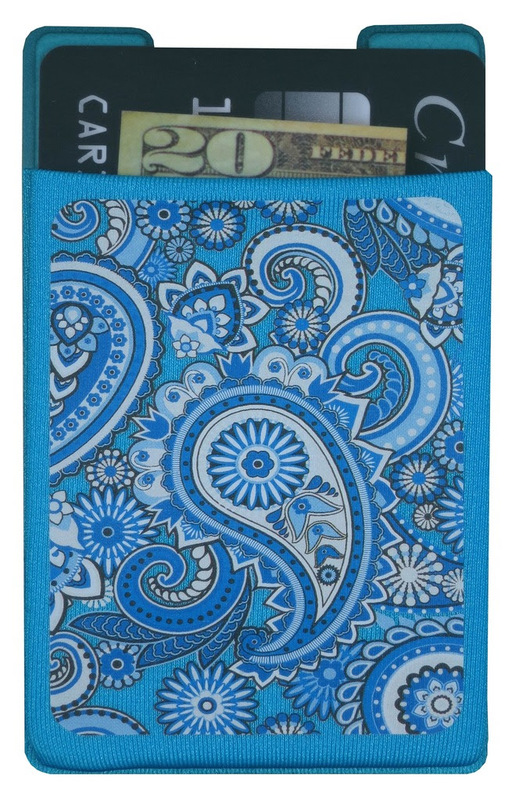 It’s the perfect lightweight solution when you’re on the go and don’t need to carry a bulky wallet or heavy purse around. The next items are great to start off the New Year in a healthy and fun way! Eco Mat for Kids – Available in 6 styles/designs! I love these mats! They are bright and colorful and a fun way to get young kids moving! MERRITHEW’s biodegradable, kid-friendly mat is great for yoga, exercise, playtime and more! Protect kids’ spines from hard surfaces while they have fun and develop healthy habits. Designed specifically for exercisers-in-training, kids love the bright design and fun-to-touch texture and parents feel good knowing that these mats are free of toxins, heavy metals and phthalates. 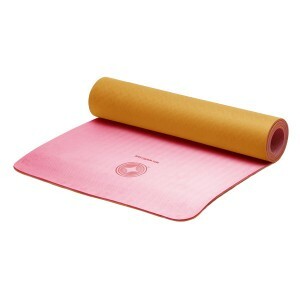 Complete with a built-in-handle, this eco-mat can accompany kids wherever they choose to enjoy their workout. Mini Handweights, pair – 4.4 lbs (2.2lbs. Ea) – Available in 4 weights/colors are a real must have for Moms! I received the 3.3 lb and love them! 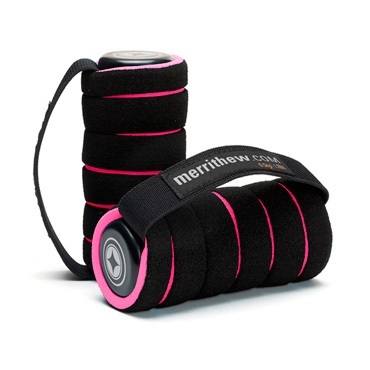 Compact and portable weights to keep you toned without adding bulk these mini-hand weights from MERRITHEW come in 4 weights and color options. Super cushy and durable these small hand weights are great for toning the arms and increasing the intensity of your workout and challenge stabilization and mobility of the arms, shoulders while imporving stamina and endurance. 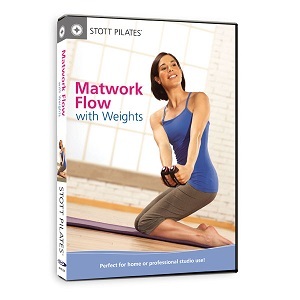 I don’t know about you but DVD exercise programs are often a motivator for me! I love this next one! 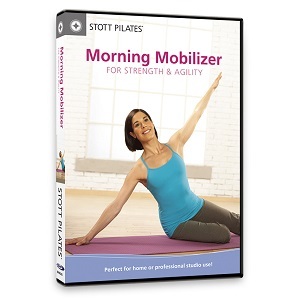 DVD – Morning Mobilizer is great for strength and agility!This DVD features exercises that use the body’s own resistance and simple movements that will challenge overall strength and stability through the core and peripheral muscles. 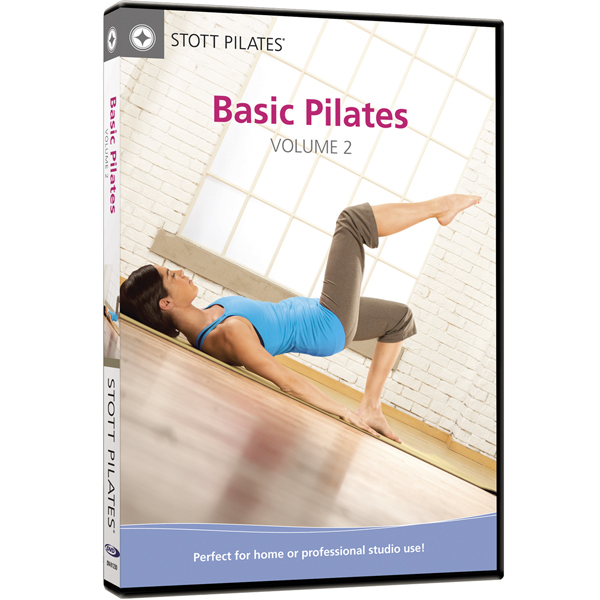 These straightforward sequences focus on balance, mobility and muscular engagement and can be used to achieve increased functionality and improved performance, every day. Eco Friendly Mat – Watermelon Mango is another must-have! I love this one! This eco-friendly, recyclable and decomposable 6mm (0.25”) thick mat is perfect for protecting your spine on hard surfaces while you enjoy your Pilates, Yoga or matwork routine. 61cm (24”) wide and 173cm (68”) long, it includes a carry strap so it can accompany you wherever you choose to enjoy your workout. This mat is made from TPE (Thermal Plastic Elastomer) foam, helping you do something good for yourself and the environment. This one is my favorite new to-go-to yoga mat! If you are looking for more DVD choices these two are also great! 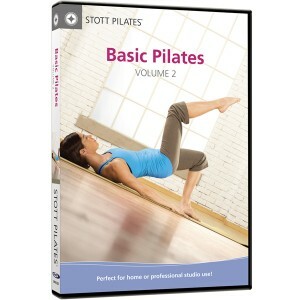 DVD – Basic Pilates vol 2 and DVD-Matwork Flow are both a great way to get through the holidays and start off the New Year right! The next one is perfect for the mother or grandmother who needs a little extra warmth in the winter, tell her you treasure her with a H.O.P.E. Fleece Blanket. I just love this company and their products! I received a purple Fleece Blanket and it is so pretty, soft and comfie! 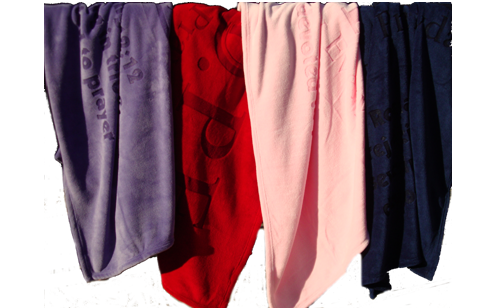 Find these blankets and many other wonderful inspirational gifts at Hope in a Box. Looking for a fun game for the kids? 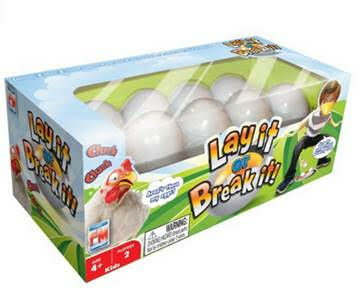 The Lay It or Break It Action Game is a lot of fun! You actually dress up and act like a chicken to play this game and it is fun to watch the kids play. The eggs do break open easily but I think part of the fun is being careful with the eggs so they don’t break open too easily! The player with the most unbroken eggs wins! Adventurous parents may want to try this one too! Guaranteed fun and laughter! This next one is sure to be a hit with kids of all ages! Sleeping bags from Wildkin! The one pictured is the Camo Green Sleeping Bag which my son really likes! He finds the pattern cool and it is comfortable! They have such a variety to choose from on their website. Conforms to U.S. flammability test requirements. Find this one and many more on their website! The next one is great if you are looking for a more personalized custom gift! I just love this company! You may remember that I have features them before! My son loves designing shirts on this website! 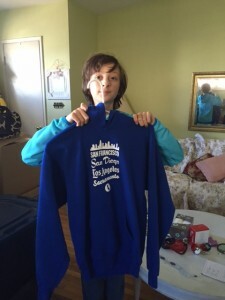 He designed a really great hoodie sweatshirt and we love how it turned out! The print is wonderful and it is really great quality! I like that you have a choice of different fonts and so many designs and it’s easy and fun! Check out Customink for designing your own t-shirts, hoodies and more this holiday season! 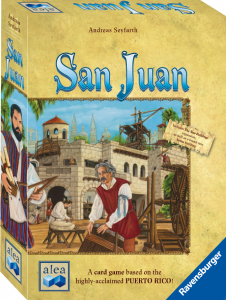 Ravensburger is SoCal City Kids favorite for games and puzzles! Here are a few of our favorites this holiday season! This one is a great family game especially if you have older kids! I like that it is fun and challenging! 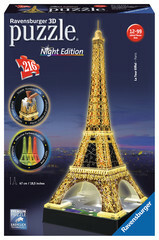 I just love this puzzle of Eiffel Tower! I love how it changes different colors! I want this one for myself. Eiffel Tower by Night – The world-famous landmark comes to life like never before, lighting up the night with five electrifying LED colors – red, yellow, green, blue and purple – to showcase the iconic building’s amazing metalwork structure! SRP $36.99. Find these and so many more at Ravensburger.com. Self Disclosure: I received samples of these products to facilitate this holiday gift suggestion round up.